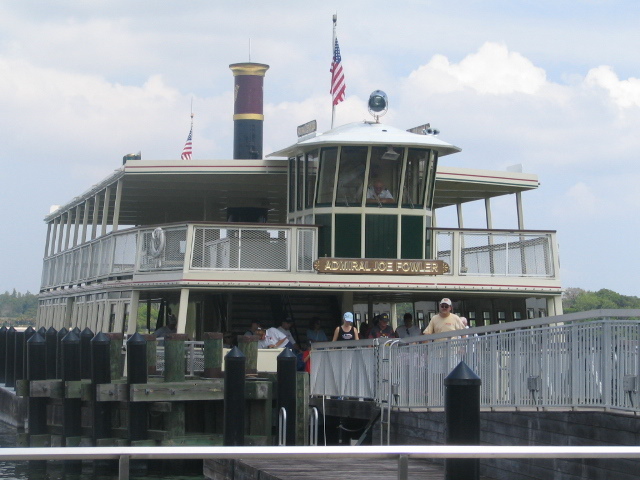 By now, everyone who has been to the Magic Kingdom has either seen or ridden on the Admiral Joe Fowler ferry boat which transports guests to and the Magic Kingdom. But who is the man behind the name? Well, I did a little research to find out about the man behind the boat. Admiral Joe Fowler, firstly, is truly an Admiral. He served in the United States Navy from 1917 to 1948. He graduated from the US Naval Academy in 1917 and went into duty during World War I as a navigator on a submarine. Four years later, he graduated from MIT with a degree in Naval Architecture and started his career in naval construction. He spent years working on designing new ships and overseeing repairs. During World War II, he oversaw construction and the San Francisco Naval Yard. After the war and his retirement from the Navy, Admiral Fowler continued in the construction field by planning communities of newly built homes. 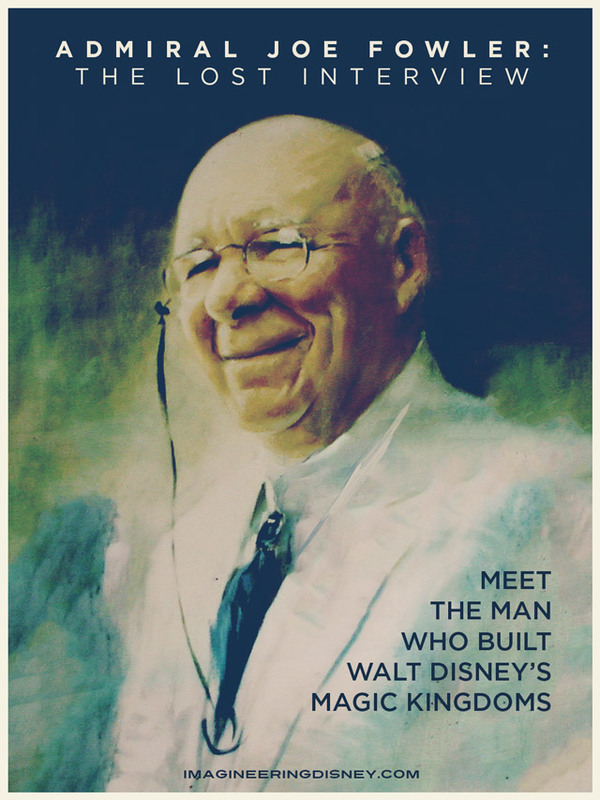 Walt Disney had heard of Admiral Fowler’s work in the shipyards, where he earned the nickname “Can-do Joe,” and was looking for someone to head up the construction of the waterways for the ferryboats at Disneyland. Walt made the drive up to San Francisco to meet with Admiral Fowler who accepted the job. After Disneyland was opened, Admiral Fowler stayed on as the park’s General Manager for 10 years then went on to supervise construction at Walt Disney World. Admiral Fowler retired from Disney in 1976. In return for his many years of service at the Walt Disney Corporation, Admiral Fowler had a riverboat named after him in the Rivers of America section of Magic Kingdom. The original Admiral Fowler was scrapped during a rehab in 1980. 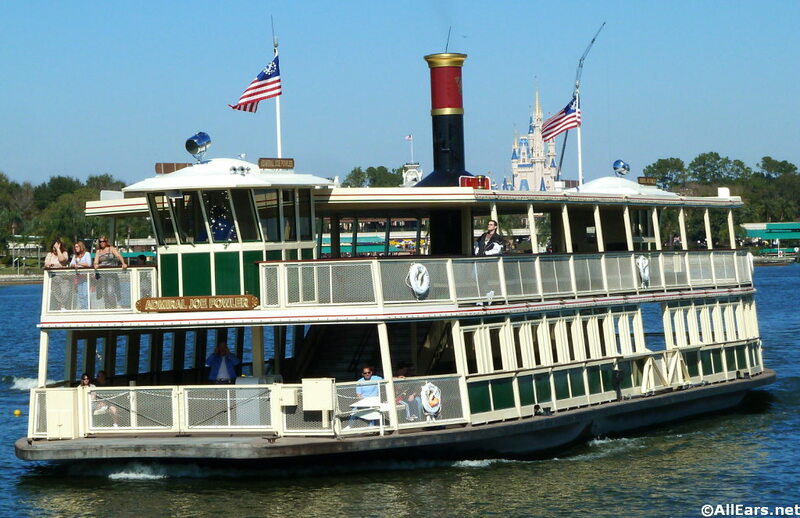 The second ferryboat, the Richard Irvine, stayed on the Rivers of America and was eventually re-named The Liberty Belle. In 1999, six years of Admiral Fowler death at age 99, The Magic Kingdom I, which took guests to and from the Magic Kingdom, was renamed in Admiral Fowler’s honor. Previous PostTwo Announced Closures – Two Different ReactionsNext PostThat’s Too Many Eggs Gaston!